Jordan Matthews was traded to the Bills during the preseason last year. Jordan Matthews, a second-round pick by the Eagles in 2014, was released by the New England Patriots on Wednesday after suffering a hamstring injury this weekend. The Boston Globe reported the news earlier in the day, and the team confirmed it late Wednesday afternoon. The receiver joined the Patriots in the offseason after spending one year with the Bills. The Eagles had traded him to Buffalo for cornerback Ronald Darby before the 2017 season. 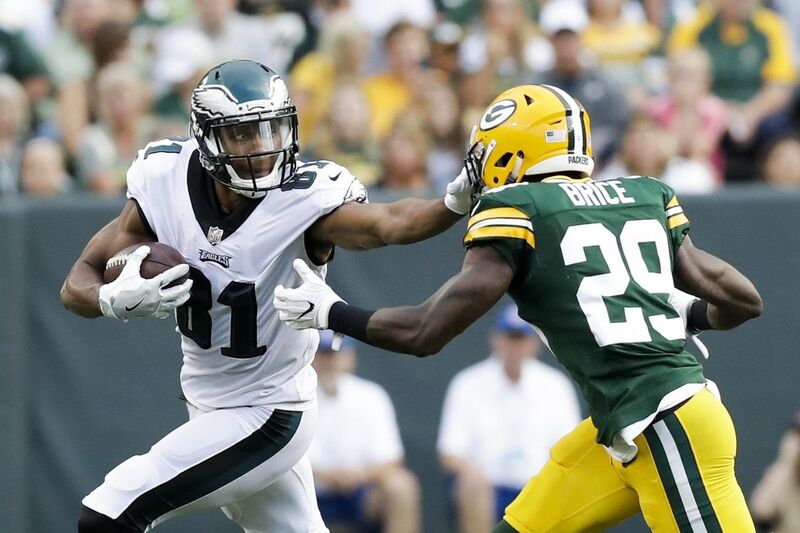 Should Eagles add a veteran to be on the safe(ty) side, or can youngsters step up? Matthews caught only 25 passes, including just one touchdown, for Buffalo last season and appeared in only 10 games because of injuries. He went on injured reserve in December. He signed a one-year contract with the Patriots in April. The Vanderbilt product was a starting receiver for the Eagles before he was dealt to Buffalo, and the trade wasn't taken lightly by the team, even if it did need to bolster the cornerback position. "Hard to pull the trigger on a trade like that when you're giving up that kind of player and person," Eagles executive vice president Howie Roseman said last August. Matthews and quarterback Carson Wentz were particularly close. "It's tough," Carson Wentz said after the trade. "It's one of those things where there's the personal side to things and the football side to things." Matthews' best season with the Eagles came in 2015, his second year in the league. He notched 997 yards receiving with eight touchdowns and played in all 16 regular-season games, starting 13.